Alexander Solzhenitsyn, addressing an assembly at Harvard University in June of 1978, offered profound insights on the West and the future of our society. His thoughts were anchored in a vision of man that was profoundly Christian, transcending the limits established in present societies. He issued a call for a deeper pursuit that can only be called “prophetic.” These two paragraphs are only a minor excerpt, but give a sample of his thought. The entire address may be read and listened to here. 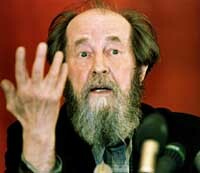 Solzhenitsyn Has Died – Memory Eternal! Listening to the reaction of the crowd during the actual address I got the impression that it was gradually dawning on the participants just how much he was calling the West out. The part about bullying weak nations certainly rings true. Considering it was 1978, there are many prescient moments in the speech. I don’t think he saw the end of the Soviet Empire coming as soon as it did, but I know he was deeply disappointed with what was first done in the name of freedom after its fall. I believe he called for Yeltsin to be brought to trial. One lesson learned from reflecting on his speech (and writings) is that spiritual work is extremely difficult and even after a period of suffering (which he saw as having deepened the Russian people) often times, people just want to relax and have a good time. My comments on the film Ostrov were that here was an example of the kind of spiritual fruit I had always hoped to see from a free Russia. But regardless of the culture, East and West, spiritual work is very hard to do – and even harder, it seems, in the face of prosperity. If spiritual work is made harder by prosperity, what conclusions, if any, can we draw about prosperity? It is very interesting to me to hear you come to this subject discussing Solzhenitsyn’s legacy. Conclusion: You cannot serve God and Mammon. I think Solzhenitsyn knew the value of spiritual work, hard spiritual work and had great hopes for his nation. I think, in time, his hope might yet be fulfilled. But the Church in Russia has years to go as it continues to heal and strengthen. Generations of spiritual treasures were murdered under Stalin. You don’t produce such things overnight. But monasteries have been restored at an amazing pace, and there is some very significant progress in the spiritual lives in many of those places, according to some who have been there and whose judgment I trust. Orthodoxy itself is newly free in many areas, though still under oppression in others (such as the Middle East). We have many internal difficulties that are difficult to correct – but what matters most is the inner life of the Church. I think in many ways there is real renewal in places – though this is still uneven. Mostly when I think about these things, I think that I do not pray enough. For there is no other means for progress than to repent and pray. Unfortunately I don’t see the incursion of American evangelicalism into Russia as a positive step in that direction. Some Salvation Army people actually stopped by our parish one day to see what they could learn about Orthodoxy because they were heading to Russia to bring Christ to the people there. They were apparently very rude and hateful and had no doubt that they were the ones who had something to teach the Russians about God. I have several former evangelicals in my parish who found their conversion to Orthodoxy started on such mission trips. God is good. 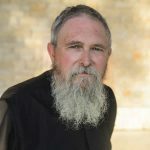 And then there are those of us who, while not leaving our evangelical churches, are still moved by the witness of the Orthodox and are grateful to be taught by them. Father Stephen, what a gentle answer to offenses I am grieved that some of us, in our ignorance, have caused to your Church. What puzzled me to read that he was described as not particularly a devout Orthodox Christian (infrequently attended church, according to a priest acquaintance) and seemed (from my reading about him) a somewhat troubled individual especially later in life. I am not sure if he truly understood the American way of life. Robert – or maybe he understood it too well. What we do know is that his criticisms cut past our own well-defined defenses, as if they don’t exist. Of course, one should not look for a perfect man – that he was not, his sins are public. But so, in a measure, is his repentance. But the most intense and hurtful criticisms come not from those who are nigh-perfect, but from those who have sinned, and from those who have suffered. Witness the fact that Solzhenitsyn’s criticism finds an ech in the works of the Jewish-Romanian Lutheran, Wurmbrand. Wurmbrand of course had a deep knowledge and understanding of Orthodoxy, learnt under suffering. I have been learning of late that the way to God, even to Theosis (I’m not Orthodox, btw, so I write in a general sense here), can lead through deep waters, and does not preclude the stains of our characters from standing out so much more. Our sufferring and our frailties are not sensical. Our sins stand out – even publically. But the object is not to achieve sainthood by public standards, but to return to God, wence we came. If the public image is not pretty, so much the worse for the public image. Sorry I mixed up two different subjects in my post. I am however not referring to his character flaws vis a vis his understanding of America: there are very valid critiques of Solzhenitsyn’s take on the West. This is not to diminish his great courage and accomplishments, we lost a great treasure. Fr. 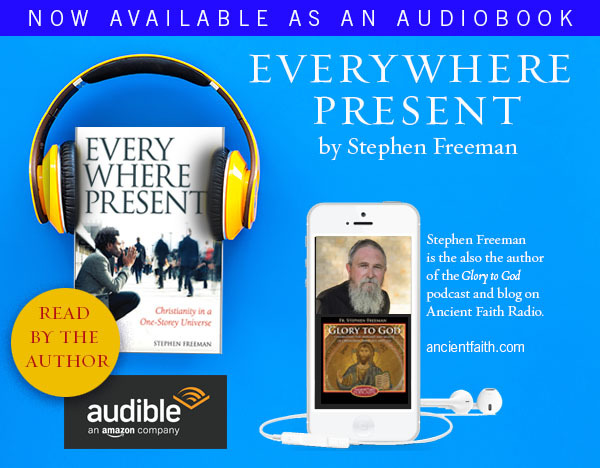 Stephen, while it’s possible that one cannot serve God and mammon, Christ wanted us to make sure that the poor had plenty of mammon. Also, the faithful servant in the talent parable made sure that his master had plenty of mammon. This lesson was repeated in St. Luke’s pound parable. Moreover, I’m curious about why criticisms of prosperity tend to bypass the coexistence of Byzantine prosperity and Orthodox spirituality. In fact, Byzantine gold coinage featured metallic icons of Christ, the Theotokos, and various other saints. That’s certainly an interesting twist on “God and mammon”. Separately, I was watching a TV program in which Khrushchev’s daughter opined that Solzhenitsyn was more preoccupied with Russia than America. Therefore, it’s possible that his criticisms of America were based on surface impressions rather than intensive study. Certainly, to me, his Harvard address seems to reiterate the more tiresomely platitudinous of Russian criticisms of America–too much freedom, too much money, too much power, too much happiness. Certainly, this wasn’t original thinking–both the Orthodox and the Soviets carped about America’s well-being. Wondering if there is a conscious and a heart of a Solzhenitsyn-type in the West? To call forth the abuses and greed that is running rampant in democracies of the world that seems to be lining one´s own pocket. Pingback: Steynian 216 « Free Mark Steyn! I think you miss the point that Solzhenitsyn was trying to make: too much freedom, too much money, too much power, etc., etc., etc., indeed did NOT make Americans happy. It only complicated their lives as we are seeing all too well today. Prescient isn’t the word for this speech. And his comments regarding the media . . . well, anyone can see he was spot on with that one. I was an asst. for Solzhenitsyn, as a grauate student, ’79-’80. What started out as monthly trips ferrying books to him from Harvard libraries, became weekly sojourns at his Cavendish, VT “compound” and “salon” w/ all manner of exotic and strange visitors …scientific, artistic, military, espionage defectors, old zeks, etc., and many Catholic and Orthodox clerics of all kinds …bishops, priests, nuns, monks, friars, novices, provincial generals. Solzhenitsyn DID foresee the USSR’s collapse ….. and at many a meal predicted how quickly the whole thing would collapse …. through back channels he even tried to have the map of Kazahkstan redrawn much smaller, foreseeing the break-up. In speaking w/ people he trusted, he wasn’t shy about pointing out how jewish influence was so pernicious in various spheres, warping American law, foreign policy, financial networks, academia. He predicted “wars of American occupation” through much of the Middle East, and knew the finan. meltdown had to come. I regard Solzhenitsyn as a prophet. As one of many who survived the abuses of the state, he was given the talent to record other sufferings. Having experienced so much tyranny and degradation, he could readily identify it in the land of the free and home of the brave, moral cowards that we are, for a few dollars more.